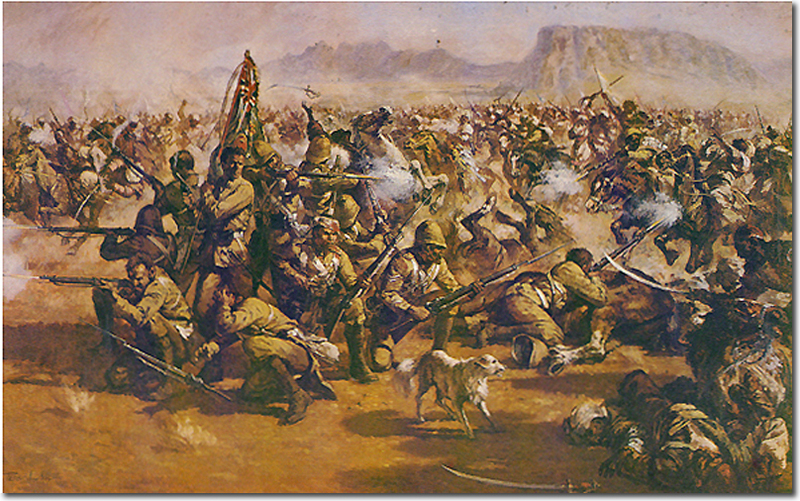 This is a picture of the last stand of the 66th at Maiwand painted by Peter Archer. Partly as a result of this particular debacle it was decided that colours would not in future be taken on active service. The dog in the picture, Bobbie, received the Afghan War Medal from Queen Victoria in 1881 but got run over by a hansom cab the year after.